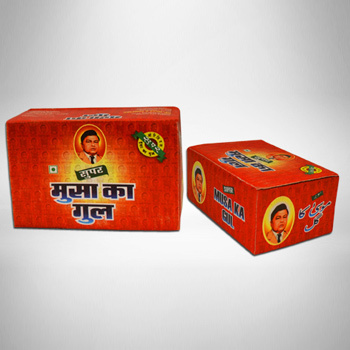 Musa Ka Gul Super is a toothpowder that contains nicotine in it which is absorbed by the lips, tongue and cheeks when consumed. Superior grade material used in making of it has improved its effects and has resulted in high demands of our product. Musa Ka Gul Super is manufactured using the latest aid of technologies under the proper guidance of the trained experts to ensure that the resulting product is free from adulterants and efficient to perform the destined operation.